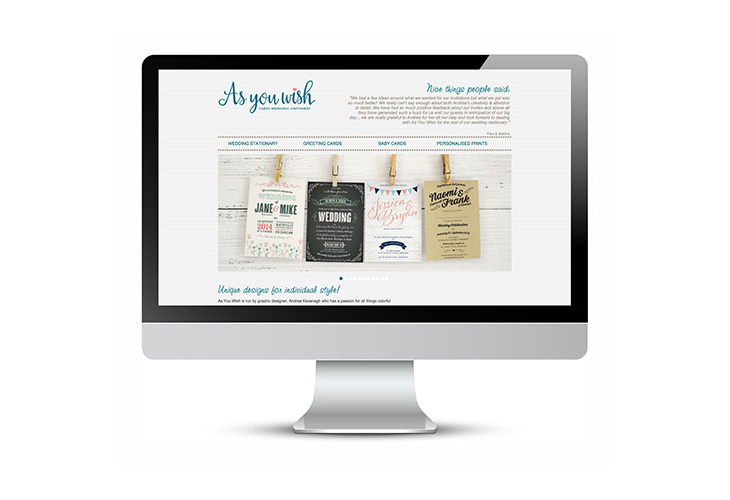 As You Wish is run by Andrea Kavanagh of Resonate Design, and offers wedding stationery, greeting cards and personalised gifts and prints. It can be a challenge designing a logo and branding for your own company! 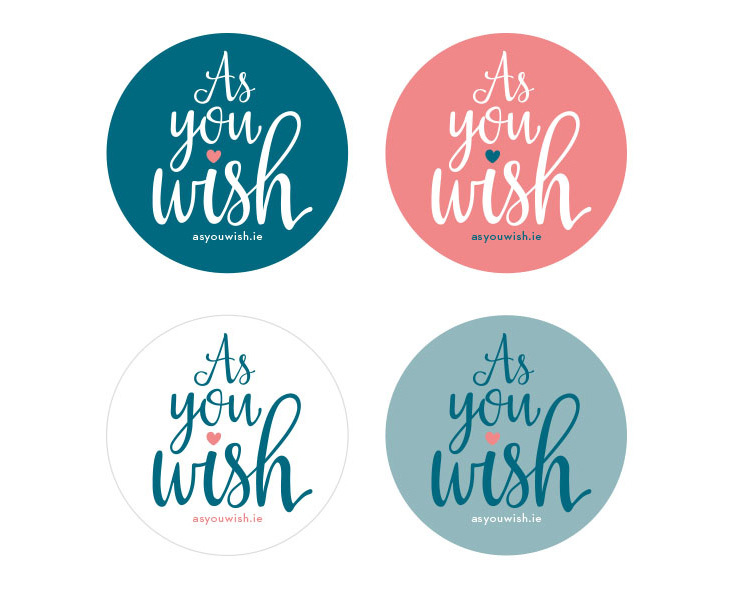 I wanted the logo for As You Wish to be decorative, fresh and fun with a contemporary palette. And while the products mainly target a female market, I didn’t want it to be overly pretty or girly! The handwritten lettering emphasises the personal touch of sending cards and invitations. The teal blue colour is accentuated by a splash a pink and the polka dot patterns add a bit of fun to the stationery and literature.